Tequila is made in and around the small town of tequila, in Mexico’s Jalisco province. In order to be classified as tequila, it must be produced from blue agave plants grown in a precisely delineated area in the five Mexican states of Guanajuato, Jalisco, Michoacan, Nayarit, and Tamaulipas. Tequila must comprise at least 51% blue agave by law to be called tequila. There are two classifications for tequila 100% Blue Agave Tequila and Mixto Tequila (must have at least 51% blue agave but the rest can come from other sources). Mixto is usually shipped in bulk and bottled in other countries. Mezcal What is mezcal? Mezcal is from agave grown principally in the region of Oaxaca they can use juices from different varieties of agave and have no specific government laws of production. All tequilas are mezcal, but not all mezcal are tequila. The key to quality tequila is to harvest the agave when they are perfectly ripe, anywhere from 8 to 12 years each agave matures at a different rate. Knowing when to harvest the heart of the blue agave (also called pinas) is a specialized skill of the jimador. Overly ripe agave produces a spirit that is to sweet. Under ripe agave produces a spirit that is too bitter. After the agave is harvested the pinas are cut in halves or quarters the baked in large oven of autoclaves. Traditional distillers let the pinas soften in steam rooms or slow bake them for 36-48 hours in stone or brick ovens. This process softens the fibers and helps keep the agave from caramelizing, which adds a bitter flavor to the juice. Then they are mashed to separate the pulp from the juice then they are ready for the fermentation process. Mezcal pinas are cooked differently they are baked in underground pits heated with wood, rather than steamed. Which yields a very smoky taste an flavor. Once separated from the fiber the cooked agave is milled and mixed with water then placed in fermenting tanks. If it is a mixto tequila other sugars are added like molasses, cane sugar, corn syrup or very cheap beet molasses. In the case of 100% blue agave tequila no other sugars are added. Then the mixture is pumped into open top containers tanks made from wood or stainless steel, yeast is then added to begin the fermenting process. The result of fermentation is a liquid with about 7-10%abv. The liquid is then distilled twice in a traditional copper or stainless steel pot still or in more modern column stills. Different metals have different benefits. The second distillation increases it to about 55-60% abv. All tequilas are clear after distillation. The color comes from aging in wooded barrels (called barricas) caramel, or wood essence (caramel & wood essence are common in mixto tequilas) Before bottling most tequilas are filtered active carbon or cellulose filters. ht White tequila will remain in stainless steel until bottling with no minimum age requirements. These are stored in oak containers for a minimum of two months and a maximum of 11 months. 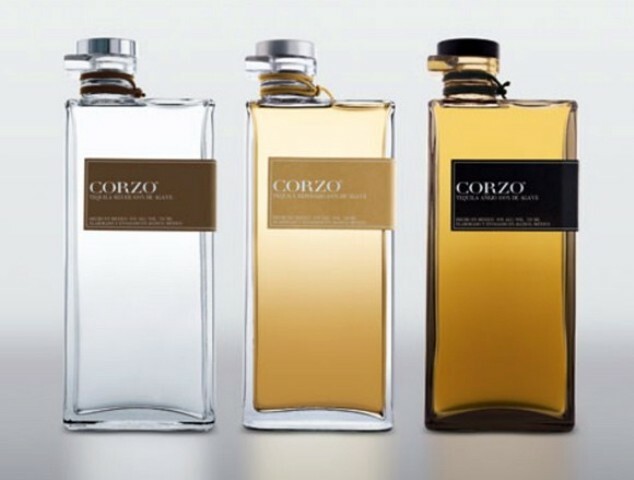 A tequila product that is subjected to age for at least one year in an oak container with a maximum capacity of 600 liters. There is no maximum time for which it can be aged, some aging 30-40 years.